In less than a week, stores everywhere will offer some of their biggest discounts of the year. Of course, everyone talks about it, but what do we really know about Black Friday consumer spending? We’re here to highlight a few facts, as well as discuss how to improve our shopping habits. Additionally, we’ll look at some of the newest retail trends the stores plan to provide. Throughout this article, we’ll cover every detailed way to take the crazy out of the Black Friday bonanza. Continue reading to learn more. As recent as last year, shoppers spent $1 Million per minute at the peak of Black Friday. A lot of the E-commerce transactions were through mobile devices and shoppers everywhere took advantage of the technology. 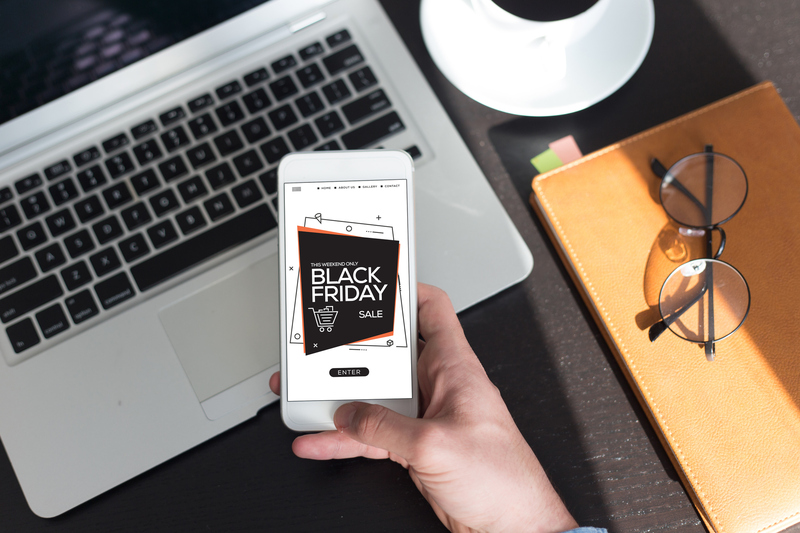 While it’s true that mobile phones affect banking, it’s obvious that they also affect Black Friday consumer spending. Every year, there is at least one article written about the physical injuries occurring on the day after Thanksgiving. To prevent the rush that typically associates with Black Friday, stores decided to stretch their sales out. Instead of providing discounts on one specific day, they offer them throughout a period of time. This creates less urgency, as well as less chaos. Furthermore, stores are pushing more free shipping offers this year. Not only does this make it easier to shop, no one will dispute what’s in your cart. Just be aware of what you need to purchase for your holiday gift giving. Online binge shopping tends to sneak up on consumers. Preview sales before the big day by joining the mailing lists of your favorites stores. Additionally, many shoppers follow along on social media. You will get a clear view of their holiday shopping ads and be able to compare the sales. Make sure you understand the time that the store will be open. Some major retailers are known to have lines form the night before. If you are planning an in-store visit on Black Friday, be aware of when to go. To be as efficient as possible, make sure to stick to your shopping list. This will also help you stay within your holiday budget. Black Friday consumer spending trends show an increase in purchases every year, so don’t get carried away. To really secure the lowest prices of the season, make sure to use a credit card that has price protection. The Achieva Cash Rewards Mastercard has several benefits, including covering your purchases for up to 60 days. Before checking out, make sure to understand store policies. Ask questions and get warranty information in writing. There may be times when your item is out of stock, or the price is not as good as originally thought. Allow yourself the ability to decline. The largest shopping day of the year is almost here. We’re interested in how Black Friday consumer spending habits will compare. Even if some of the previous years were hectic, we’re thankful this year will be more financially in tune.